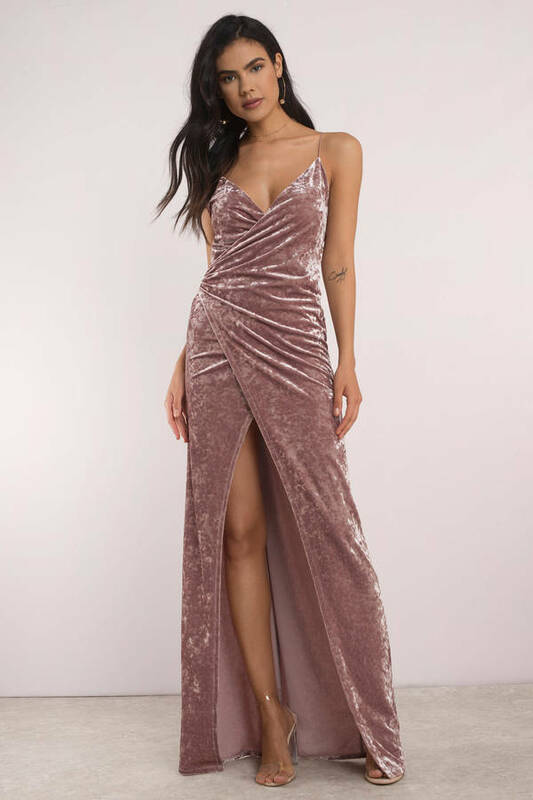 Check out Tobi's Split Ways Wrap Velvet Maxi Dress A gown for the gala with the Rose Split Ways Wrap Velvet Maxi Dress. This split front dress is an after dark sensation with its deep plunge neckline and slim criss cross straps at the exposed back, with a show stopping front split. 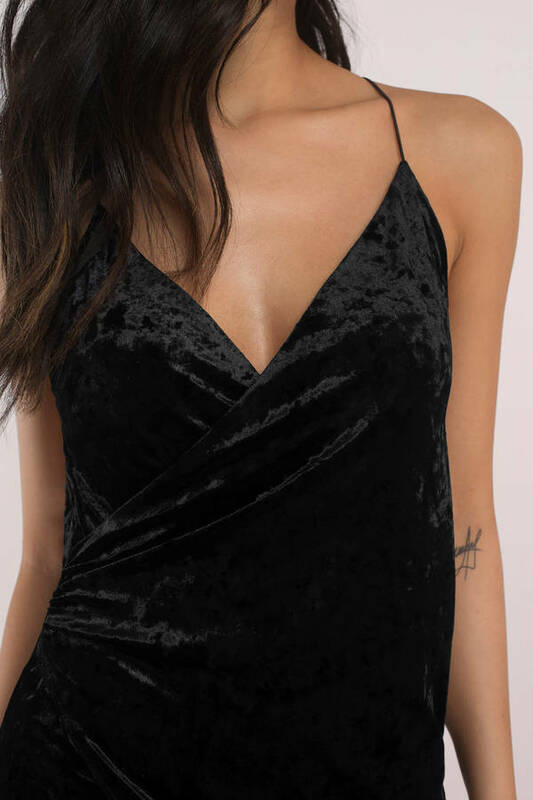 You're crushin' it in this crushed velvet maxi. 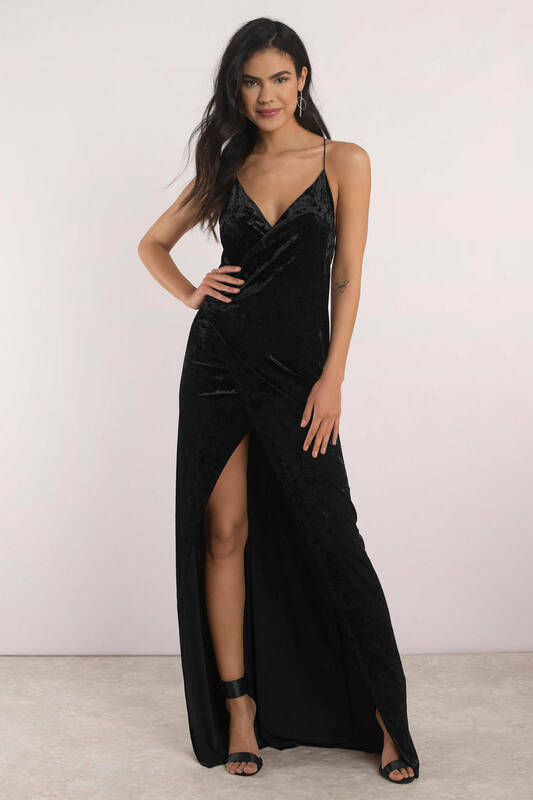 A gown for the gala with the Black Split Ways Wrap Velvet Maxi Dress. This split front dress is an after dark sensation with its deep plunge neckline and slim criss cross straps at the exposed back, with a show stopping front split. You're crushin' it in this crushed velvet maxi. A gown for the gala with the Rose Split Ways Wrap Velvet Maxi Dress. This split front dress is an after dark sensation with its deep plunge neckline and slim criss cross straps at the exposed back, with a show stopping front split. You're crushin' it in this crushed velvet maxi. A gown for the gala with the Teal Split Ways Wrap Velvet Maxi Dress. This split front dress is an after dark sensation with its deep plunge neckline and slim criss cross straps at the exposed back, with a show stopping front split. You're crushin' it in this crushed velvet maxi. Black, Rose, Teal modeled on a size Small.